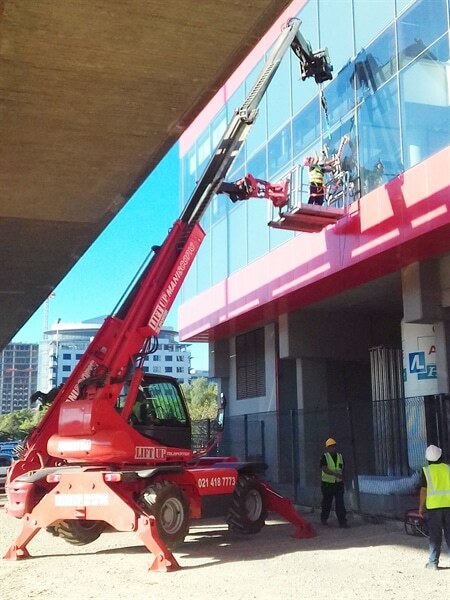 In this job we assisted in the replacement of broken glass panels at Virgin Active in Cape Town. The panels were broken by stones that were flung up by vehicles on the fly over right next to the gym. 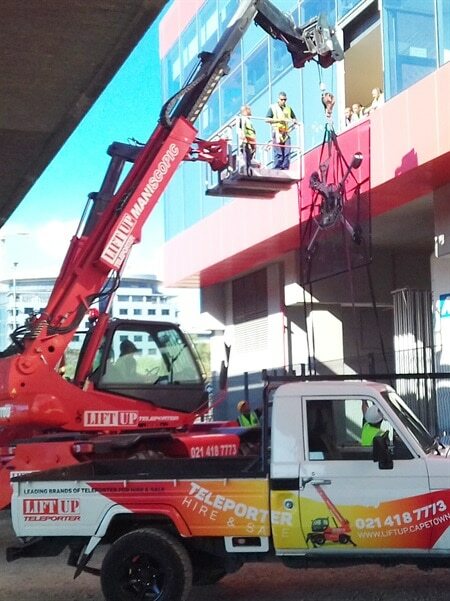 Bearing in mind that the space between the glass panes and the fly over was limited, we decided to use two machines. 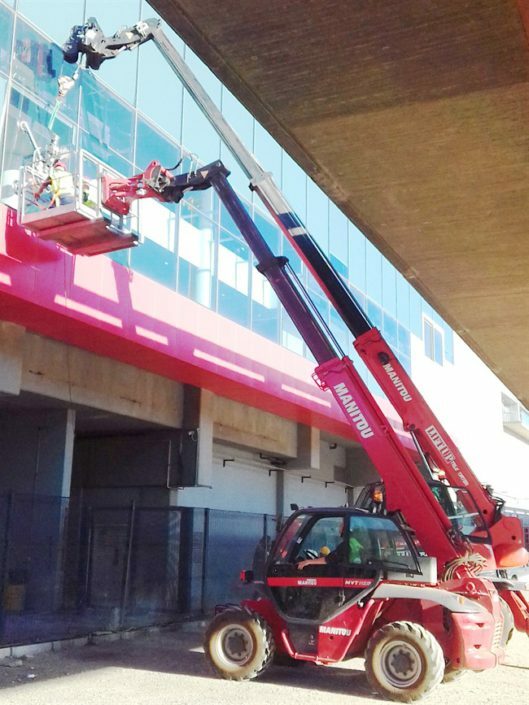 Our Manitou MT1135 with the swivel man cage attachment was used to get the artisans close to the frame so that they could work, and our Manitou MRT1432 with winch was used to lift the panels into position. 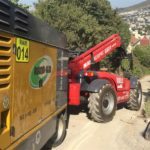 The job would have taken much longer if it were not for our versatile machines that allow for various applications. We are very happy with the service and will most certainly make use of your services going forward, thank you. 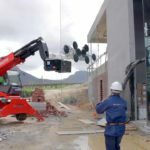 Need to lift some heavy glass panes in Cape Town or the Western Cape?